When her true love, Steven, is forced to break their magical bond, Noli Braddock decides to join her brother on the crew of the Vixen's Revenge. With its gleaming brass, dark wood, and spotless clockwork gears, the Vixen's Revenge is a beautiful airship. But Noli discovers a dangerous secret beneath its polished exterior--the crew has been hired to steal dozens of priceless Otherworld artifacts. 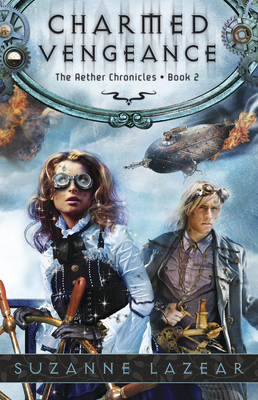 Desperate to keep her past Otherworld experiences hidden from the airship crew, Noli fears that if she doesn't risk telling her own secrets, the stolen artifacts will be used to destroy both of the worlds she loves.